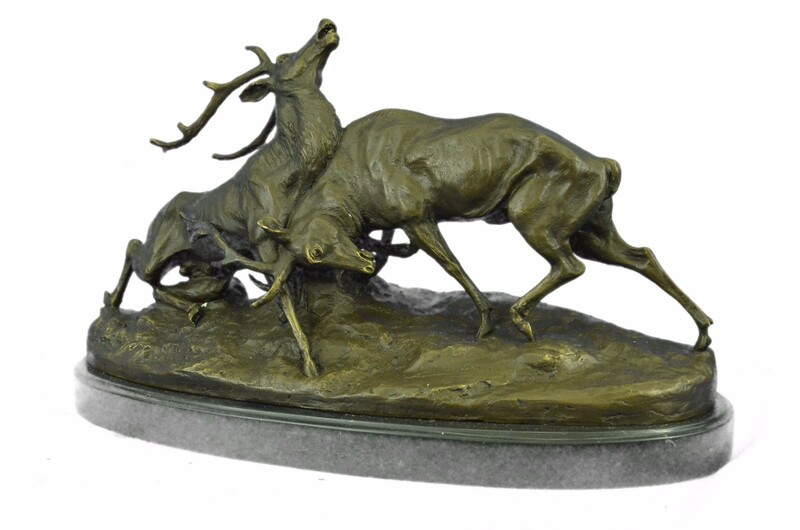 This Is An Absolute Stunning Animal Sculpture Of Two Fighting Deer, Created By C. Majdoss. 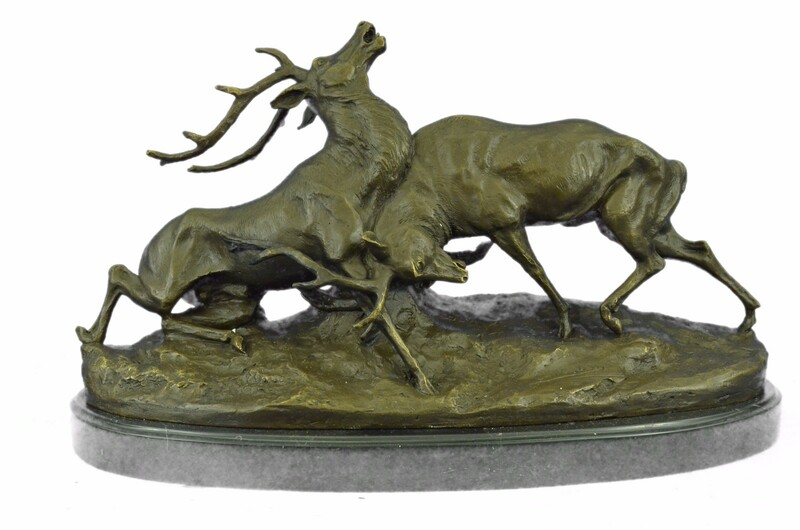 The Sculptor Designed A Scene Of A Battle Between Two Up-Grown Adult Deer Fighting Against Each Other. 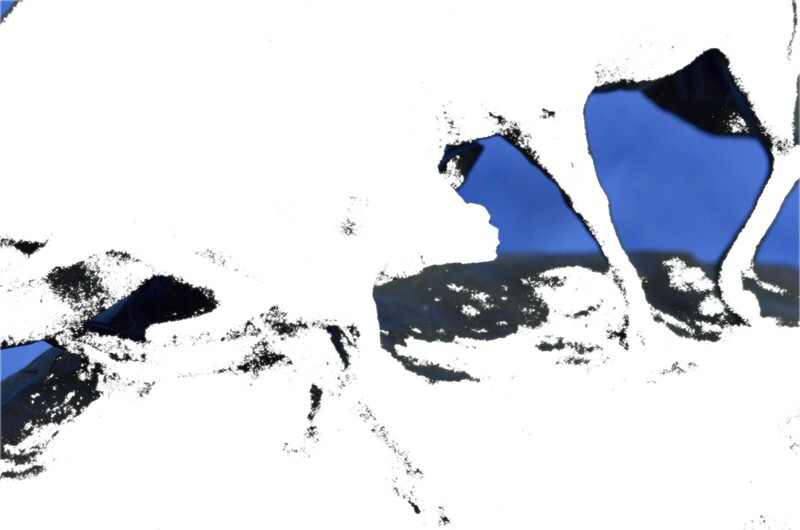 The Sculpture Is Radiating Power And Force. 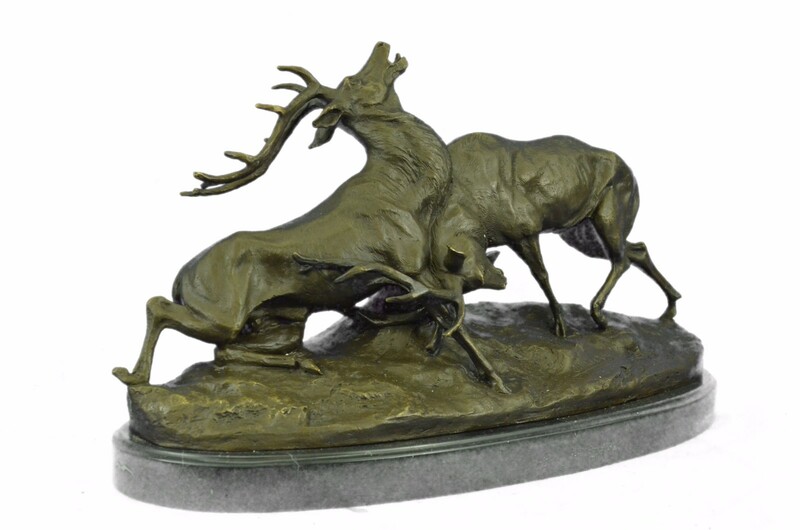 Stag Fight Shows The Natural Hard Way To Be The Strong One Or The Weak Inferior. 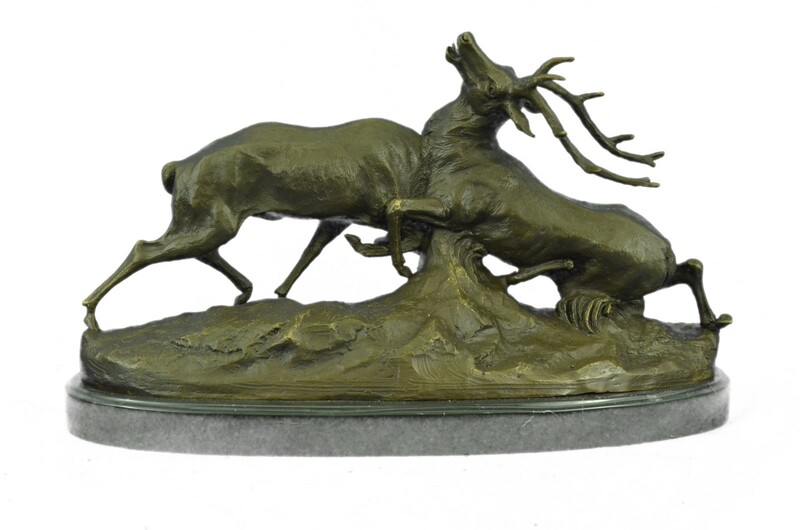 The Wonderful Bronze Art Object Is Fixed On An Oval Marble-Base. 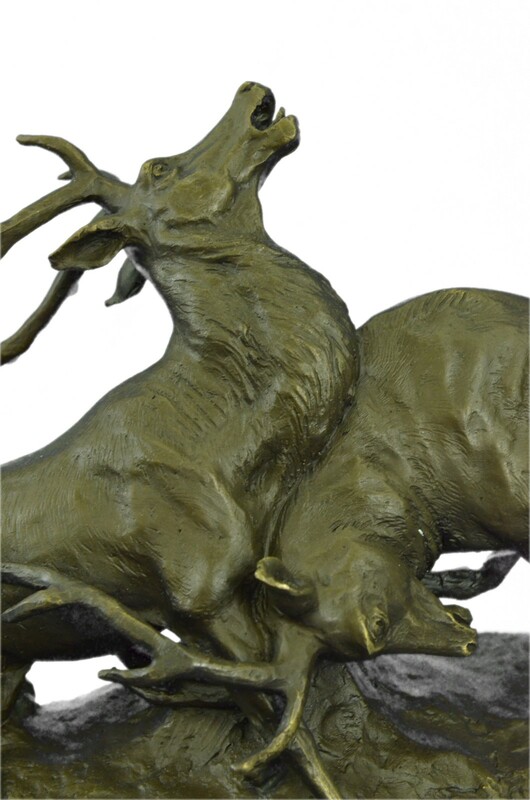 Finest Bronze Was Used To Produce This Great And Very Detailed Animal Bronze Of Two Fighting Deer. 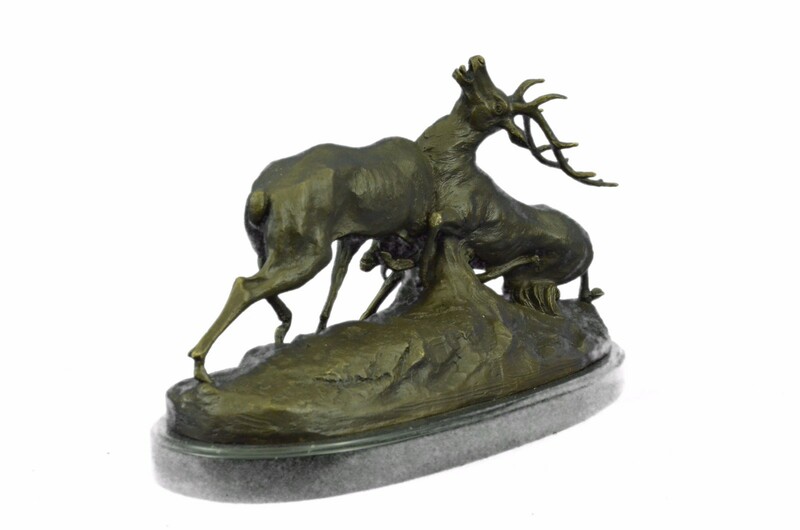 The Filigree Sculpture Is Signed By The Sculptor C. Majdoss. 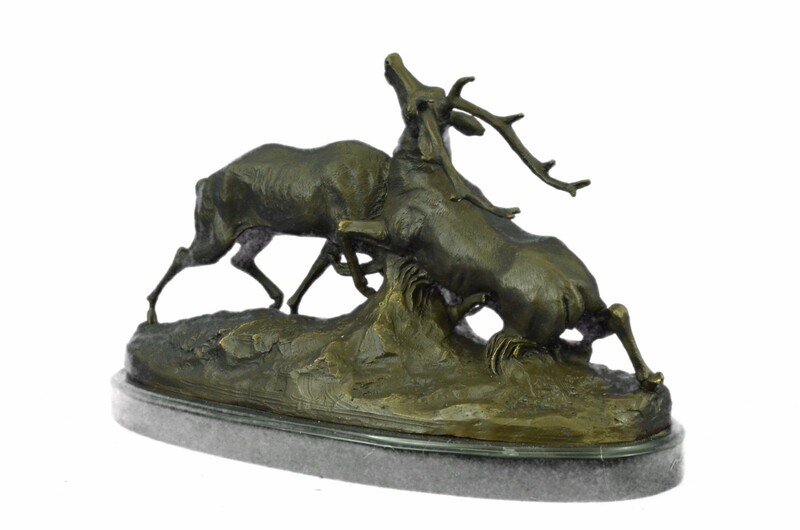 The Signature Is Located On The Bronze Underground The Two Deer Are Standing At. 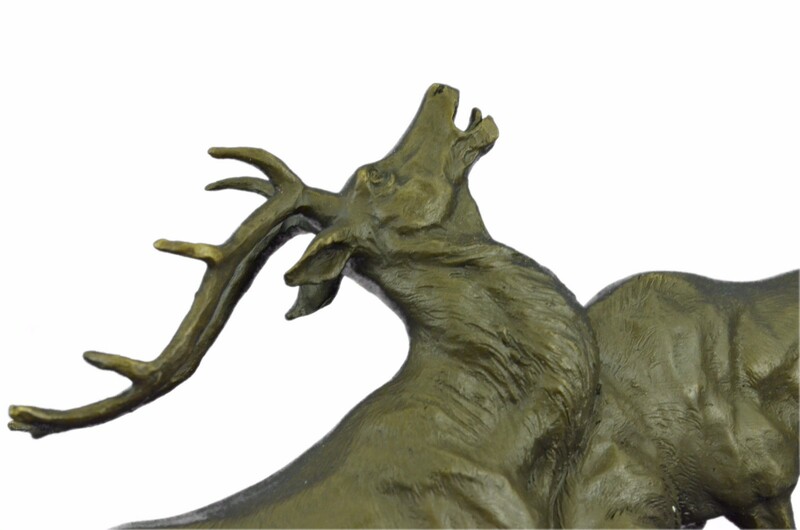 This Sculpture Was Made For Collectors Of Animal Sculptures And Adorers Of C. Majdoss.